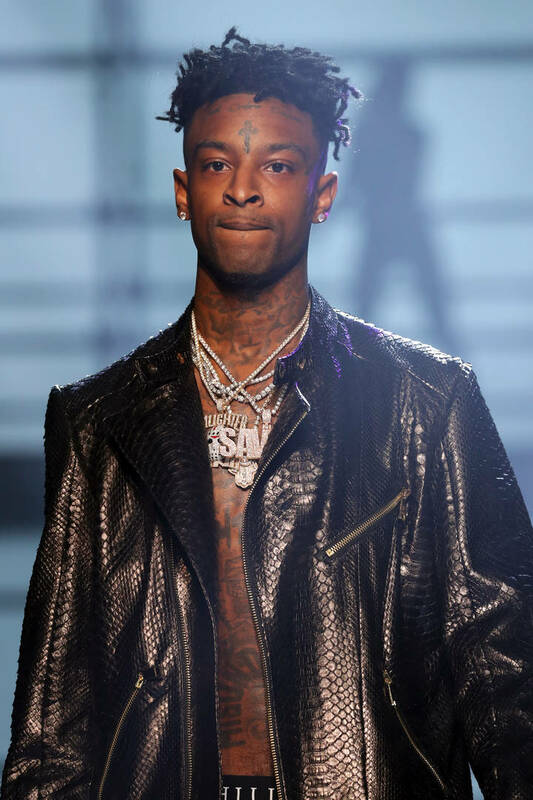 On Sunday, 21 Savage was arrested by ICE after it was revealed that he had overstayed his welcome in the United States. As a child, his family moved to the United States after being based in the United Kingdom and their Visas expired. Despite the fact that Savage reportedly filed for a new U-Visa in 2017, the request is still pending and the authorities decided to take action. The rapper has been in custody for several days and it's looking as though he's getting no special treatment. As reported by Complex, 21 Savage's co-manager offered an update on 21's current situation, noting that he just got off the phone with him. "He is in lockdown for 23hrs of the day," said Savage's co-manager. "No tv or any communication besides our 10 min phone calls ... everything I’ve told him that has been happening made him happy & makes this time fly by thank y’all for the support." This situation has started out as something many were finding humor in but now, it's taken a serious turn where 21 Savage is facing some scary repercussions. His team is working hard to ensure he makes it home in a quick manner and a petition to free him has almost reached its goal. As more information comes out surrounding 21 Savage's ICE arrest, we'll update you.